Several friends had commented on how happy or beautiful I looked in the photos I posted. It’s true. You exude beauty when you are free to be you. When you get to be authentically who God created you to be – you are free! The best way to describe the trip using a visual is a blooming rose. Which is interesting in that I had been reading this book called “The Desert and the Rose, The Spirituality of Jeanne Jugan” by Eloi Leclerc. Jeanne Jugan was the woman who founded the Little Sisters of the Poor in 1839. Along the way, she was unjustly removed from being the leader. Early in the text this quote struck me deeply, mostly because in the past year I too was silenced for something I considered to be unjust. In her experience of being removed and condemned to inaction, she found true joy does not lie in what is visible to others, but the treasures carried in heart. True joy comes from a place no one sees, but God. Joy is a fruit of Holy Spirit and it’s not something we can manufacture on our own. It comes from having an intimate relationship with Jesus. A knowing to whom you belong which requires no registration, ownership, graduation, or certification. I once heard this at a conference and it’s so true. This is a quote by Sr. Linda Koontz who speaks around the country and founded The Spirit of Lord International Mission in Juarez, Mexico. She said this, “I was theologised, catechized, and sanitized, but I didn’t know Jesus.” When I heard that I laughed out loud because it’s so very true. I know a lot of Catholics, including people who instructed me along the way that don’t know Jesus. Too often we rely on what we know. The knowledge we’ve acquired, our education, our titles, our power, our money, our status, and our abilities. Bottom line is we rely more on ourselves than the Holy Spirit. By no means am I suggesting these things are bad in and of themselves. In the proper context and order they have value. However, it’s when we are totally dependent on God and not our own abilities and resources that we become truly free. It’s an issue of Trust. How much do you trust God? How much do you trust His goodness? His providence? The gifts He’s given you? Too often we put God in a box. We put people in boxes. There is a significant problem with that, it doesn’t work. We not only limit God, but we put limits on the gifts and charisms God has given to people for the building of the kingdom. Ultimately we are limiting the Kingdom too. We attempt to mold God into something small. A God with limits. We then try to mold people. We attempt to form them into our mini ministers using an image of what we consider to be the perfect minister. The problem is the image used is not the one that matters most, the person of Jesus Christ. We then try to determine the call on their heart when we have no idea or business telling them what they should do or be. We make ourselves little God’s. 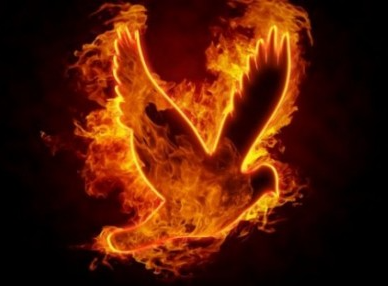 And lastly, we leave the Holy Spirit out because its control we want. We think we know better. So no Jesus and no Holy Spirit….hmmm. The potential is obvious, it’s limited. This may actually work for a while, but long term there is no fruit. For the vine is connected to pride, control, authority, and dominance and not Jesus Christ the true vine scripture speaks about in John 15. Maybe this sounds familiar to you too? There will only be fruit when one is connected to the true vine. And if there’s one true vine, you better believe there are many false vines. God is limitless. His power is beyond what we can imagine. I think that frightens some people, for fear of losing control. Yet, the deeper we go with God the less we want control. We come to know less is more in many areas of the spiritual life. Both externally and internally. But it’s only in an intimate relationship with Him do we know who we are and our deepest identity. It’s then we can begin to trust. We come to know He’s a good Father and for us, so when He calls us to do crazy things like two months in Peru. We go. We trust. We learn to rely on Him alone and not ourselves. We know He will work all things out for His glory. Once we know this truth in spiritual life, we learn He’s generous with his grace. We learn there’s always more of Him and more of the Holy Spirit. And where the Spirit of the Lord is there is freedom. Incredible freedom! So when I was in the villages, the clinic, or in the pews I could just be me. I relied on nothing I knew, but the Jesus who lives inside of me. The man and lover of my soul who dwells in my heart. I was completely free to follow the Holy Spirit. Again and again this is what I was told to do, just follow the Holy Spirit day in and out. That is freedom. The trust is not in me, but the person, Jesus Christ. Surprisingly or maybe not, no one cared about my credentials. In the end when sent, it’s God who equips and anoints you anyway. This flower was blooming with incredible beauty, as the photos showed. Often I felt as though I was in a playground hanging with, my best friend – Holy Spirit. I had all kinds of choices. I could agree to follow my friend or not. When the Spirit said, go down the slide I could of said no. When he said, swing higher I could of jumped off. But the more I followed the freer I became. As my trip went on I began to trust more and more. Day in and day out I just went where I was sent and followed the movement of the Holy Spirit. For some of you this is probably a new way of life. It might even scare you to abandon your own abilities. And yet, I had so much fun! It was amazing! Then more I trusted God, the more fruit I saw. The freer I was to be me, and use the gifts He’s given me. In addition, the fruit got bigger, brighter, and more abundant. I’m grateful to those around me in Peru who also trusted God enough to let me be. The one God created me to be, and not the minister they thought I should be. So I learned authentic beauty is really all about trust. Trusting God has your back. It is He who will work out the details. His providence will provide for whatever is needed. His gifts will do all the work. The gifts God gives are not badges of honor or one’s claim to spiritual maturity. That’s dangerous thinking. They are tools for the job. If you need a hammer or a chisel, God will provide a hammer and chisel even in ministry. Trust in Him. He’s generous with His gifts and grace – He will not hold back when you ask for more. Untimely, it’s when we surrender and get ourselves out of the way miracles happen. What are the false vines in your life? Do you rely more on these false vines in your life or God? Potential false vines; material things, acquired knowledge, control, money, abilities & talents, power etc. It’s endless. Ask the Holy Spirit to reveal your false vines and then be open to the Good Gardner coming in with the pruning shears. 🦋 Thankyou for sharing. I truely enjoyed the read.